All Australian permanent resident and working visa applicants are required to undergo health examinations. This requirement is part of the visa application process to determine if you and your family meet the health requirements which have been put in place to protect Australia from high health risks, costs, and to prevent overuse of Australia’s scarce health resources. If your child has a specific health condition, they may also be required to undergo additional tests. Medical examinations can be a lengthy process and the child or the parent’s child or guardian will generally be responsible for the payment of these costs. However, certain types of Australian work visas require your potential employer to guarantee payment of these costs. To find out if this is applicable to your situation, please contact us for a confidential discussion. If your child fails to meet the health requirements your visa application may be refused, however, this will depend on the type of visa subclass you have applied for. Some visa subclasses will allow a health waiver to be applied in certain circumstances. If the Department of Immigration and Border Protection are satisfied that the granting of the visa would unlikely result in your child’s illness causing undue costs or further pressure on health care and community services in Australia, they may provide your child with a waiver. A waiver can only be used for certain visa types, for example, the subclass 457 visa. There are over 30 visa subclasses which allow the use of the waiver. Applying for an Australian permanent resident or working visa is generally a complex and costly process, which may be made even more complex when you have a child with an illness. 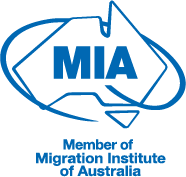 This is why we strongly recommend you call Pathway Lawyers & Migration Agents to arrange an appointment with one of our migration experts to discuss your options. Newer PostAs an engineer, how do I apply for an Australian skills visa? Older Post If I get a 190 skilled visa, do I need to stay in the state that sponsored me?